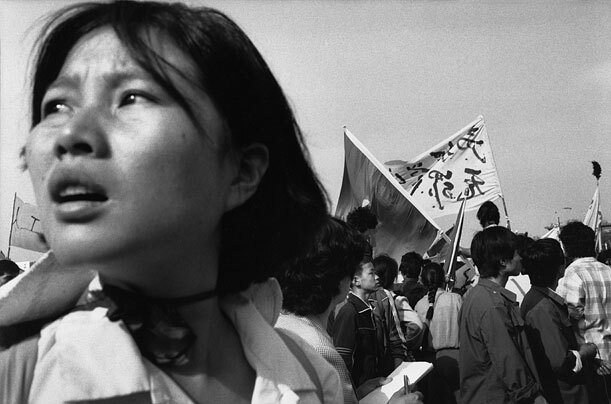 In April of 1989, university students descend on Beijing's Tiananmen Square to commemorate the death, by heart attack, of deposed General Secretary Hu Yaobang and voice discontent with the government. By May 18, the students are five days into a hunger strike. They are joined by civil servants, factory workers and other supporters and the crowd and the crowd  now one million strong  shouts slogans demanding resignation of Deng Xioaping.